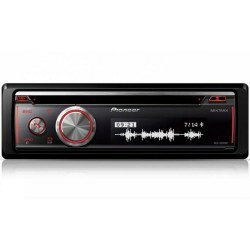 Pioneer DEH-X8700BT Bluetooth car stereo USB/AUX input for iPhone,iPod,Android. 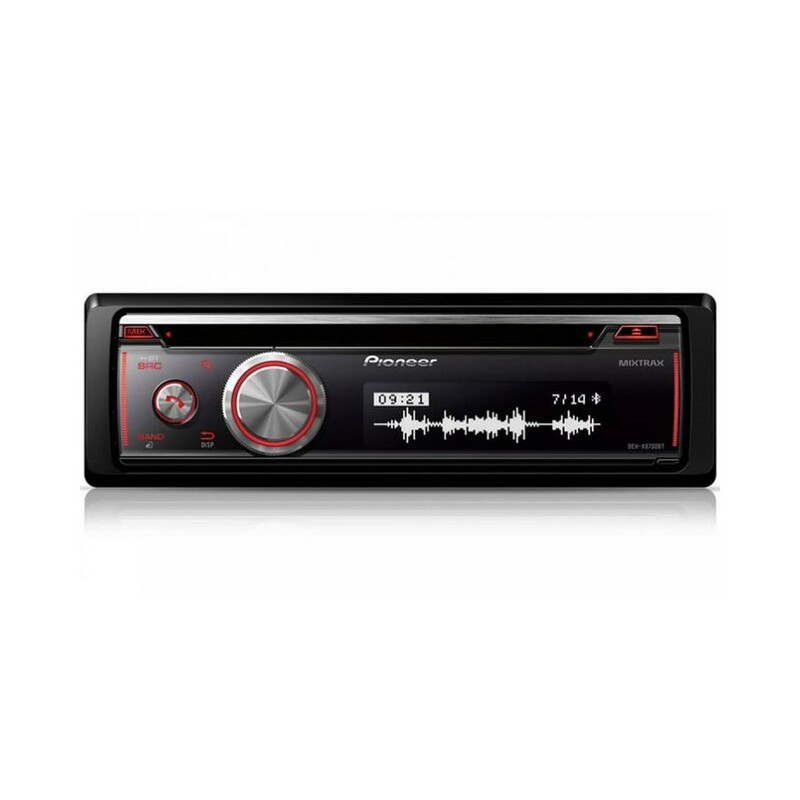 Designed to bring the connected lifestyle into your car, the DEH-X9500SD not only plays back CDs; it also plays tunes from your iPod, iPhone, Android smartphone, USB stick and, exceptionally, from SD card. 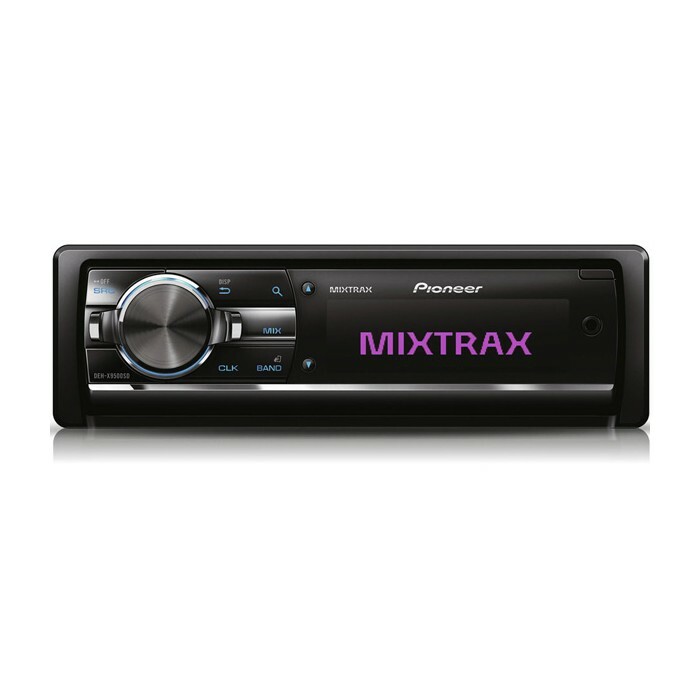 A front illuminated Aux-in and dual rear USB ports provide portable devices with direct connection to the tuner’s sound system. Enjoy App Control for selected apps. Connect your iPod, iPhone or Android smartphone* via USB and listen to your favourite music and streaming audio apps. With MIXTRAX EZ on board, you can create non-stop, club-style mixes from your music, illuminating your dashboard with colour effects based on the beat of each song. Or liven up your in-car entertainment even more by matching the wide-angle, multi-colour RGB display and key illumination to your dashboard, favourite colour or mood. With a MOSFET 50W x 4 amplifier set-up and high-grade audio parts inside, this tuner takes in-car audio to the next level. If that isn’t enough, just hook up some other stereo components, like extra amps or subwoofers for the front and rear speakers. With the 3 RCA pre-outs, this tuner comes ready and packed for the complete sound journey. * Android Media is currently compatible with Android v2.3 and previous versions that support USB Mass Storage Class specifications. The unit was really easy to fit, just plug and play with ISO connections although I needed an aerial converter, available at any car accessory shop. The only niggle I have is that if you select an album using the SD card browser it plays the tracks in alphabetical order, not the order that they are on the album.